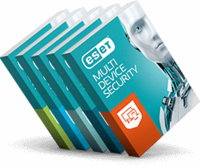 ESET continues to strengthen its position in the German market, after being voted one of the most popular vendors among channel partners. The vote was conducted by the leading IT channel publication in Germany, CRN magazine, with ESET Germany’s B2B Sales Director Maik Wetzel also being chosen as the second best channel manager of the year. In other important news from Germany − the next generation of ESET consumer security product, ESET Smart Security 8, has topped AV-Test’s Self-Protection for Antivirus Software test. ESET´s security solution was the only product to secure a perfect 100% score from among the 24 consumer security suites assessed. In addition, the technology c´t magazine for computer technology conducted two different antivirus tests published in its latest issue, in which ESET NOD32 Antivirus 8 achieved the best score out of 20 products in detecting trojans, in another more complex test, the product won recommendation of the magazine’s testers as well. On a separate occasion, ESET Mobile Security has been honored by the German Android Apps magazine as the best security app in 2014.
no. 2 spot,” CRN states in its report. ESET Germany has already proven its strength in 2014 by winning two silver medals in the business category, for Brand of the Year and as the preferred software, in the brand-awareness survey by Germany’s PC Welt. “We are very happy that in just the short period of time since opening our German office, we have been able to progress with our channel partners so rapidly. Thanks go to the whole team of ESET Germany, our partners and of course, our satisfied customers,” says ESET EMEA Sales and Marketing Head Miro Mikus.